A few years ago, we had what we now call our “6 Miracle Day.” On the anniversary of that day… I like to re-post this story. On Christmas Eve of 1997, we got a call from Mel’s doctor confirming the very bad and scary news. In fact, the doctor called in tears as she read the report to me detailing how Melissa had been diagnosed with cancer and that it was spreading rapidly. On that snowy Christmas Eve… we then went home to cry, pray and start making phone calls to specialists around the country to discuss next steps. We landed on a world-renowned specialist in Salt Lake City. Due to the type of cancer, all the doctors agreed that a full hysterectomy was the only option to save Mel. That was tough news for us because we’d just started talking about having kids and Mel was only 27. BUT that was the best option so we moved forward and scheduled the surgery. We also started to ask for prayer from our friends and family. We didn’t know it at the time but those requests literally went around the world. Then it came to our trip to Salt Lake City for the surgery AND this series of miracles. The schedule was that we’d fly down (from Billings on Wednesday), have our 15-minute pre-op visit with the doctor on Thursday and then have the surgery on Friday. Then we’d be in SLC for a week or two or possibly a month… depending on the results. We got the Billings airport early… and apparently… so did the other passengers. Because (and this is the ONLY time I’ve ever had this happen in all the times that I’ve flown) the airline announced, “We’ve got everyone here… so we’re going to leave early.” And so yeah… we wound up flying out an HOUR early and arriving at our gate in SLC more than an hour before we were scheduled to land. As we were sitting in the rental car at the airport a full hour earlier than we’d even planned to be on the ground… I got the “nudge” to take our huge pile of charts and stuff over to the specialist’s office. We’d never actually met the doctor and we were scheduled to see him the next day but I just wanted to find his office in the labyrinth of medical buildings. Since we landed early we headed off to his office. But then… the doctor did something he wasn’t planning on doing. He started another battery of tests. Now, this wasn’t called for. Mel had been tested every way imaginable… but that day… he just decided to start some tests again. As he did another miracle started to play out. He ran the gauntlet of tests and then wound up sticking his head back in the room and said, “Get ready and then come to my office. My nurse will show you the way when you’re ready.” Then… just as quick… he was gone. We didn’t know what to think.. whether the news was bad or good. But sure enough… Mel got ready and then Dr. Johnson’s nurse escorted us down to his office. We sat there for what seemed like hours but was only probably 15 minutes. Finally he came in and sat down on the other side of his huge doctor’s desk. 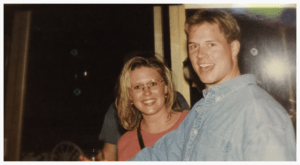 He leaned forward and said, “It seems like you guys would like to have some kids.” I remember thinking… “That might just be the cruelest question a person could ask right now.” But then he continued. Dr. Duane Townsend was getting ready to scrub in when I met him. He was fun and excited about the story. He told me “Listen, I love what’s happening with you kid’s story. Don’t worry. We’re going to get this cancer.” Later he even promised to personally come up to Billings to work with us if we needed it. But with me scrubbed in and at Mel’s side… Dr. Johnson and Dr. Townsend worked the next miracle. They went ahead with the procedure and it was a success. Instead of staying in the hospital for weeks, we were actually able to stay in a hotel that night and return home to Billings just a few days later. Within the week, we received the pathology report that showed they had gotten all the cancer. Their recommendation was after a month… try to get pregnant. Within 6 weeks we were pregnant with our oldest son. There’s a lot of questions a story like this turns up… too many to mention. But from having a number of years to reflect on this… I know that I’ve learned a few things. 1 – I believe that God didn’t give Mel the cancer to get our attention BUT I do believe He redeemed an incredibly tough experience to draw us close. 2 – I have to admit that… at the time… I really didn’t believe in miracles. I thought God could comfort us… but I didn’t know He could really pull off a miracle… let alone six. Now… after this set of miracles and a number of freakishly cool miracle stories that have happened since… I not only know that God can move in incredibly cool ways… but that He is doing it all the time. 3 – I now believe that God could have wiped the cancer away in an instant… but there is a part of me that believes that He did it via a series of six miracles just so I didn’t miss it. 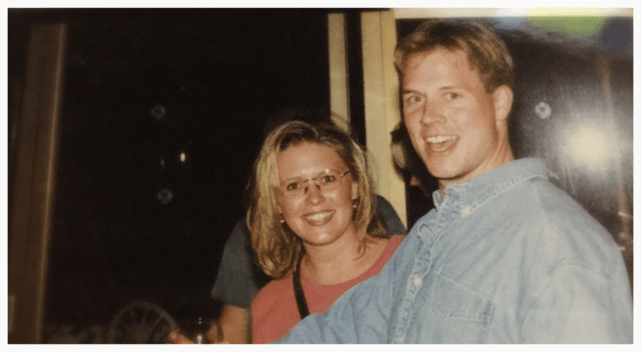 4 – Lastly… something hit me a few years later. It was when I was thinking about Jesus and His teaching about the Lords Prayer. In the original language… Jesus didn’t say “Our Father…” He used a much more intimate name for God. He said, “Abba…” which translates more accurately to “Daddy.” So… Jesus was saying that we could pray… and talk to God intimately. So… again… something about the “6 miracle” story that didn’t hit me until years later was… the doctor who stopped and did more testing the day he wasn’t supposed to… the doctor who arranged for us to have the surgery that wasn’t supposed to happen… the doctor that stood along side Dr. Townsend every step of the way of the surgery… yeah… that doctor. Here’s the thing… that’s Mel’s dad’s name too. I might be a little weird. But that makes me tear up just about every time I think of it. Hope this helps you to believe just a bit more today. Cuz… God does love us tremendously… whether we believe in prayer, miracles or any of it. Melissa and I a few days before we received the news she had cancer. Dear Mitch, I am in the process of discerning whether to take your online course. I have been praying about it since I read my emails this morning, and signed on to the website to learn more about the online training. God, prayer, and miracles are so important to me, and I thank you for your story above, for how it inspired me, and, I’m sure others. I look forward to taking your class. God bless, Happy Thanksgiving, and let’s all be open to more miracles. This, brought tears to my eye. Life truly is an ongoing series of miracles. Sometimes, its not until we are on the other side that we get to see back at the big meanings of even the littlest things. And, then there are times like yours when we are shown the power with each step. Wow. Thank you for sharing! Many more blessings to you and yours. How have I never heard this story? This is amazing! And we have one very similar. There were too many miracles to count, so I don’t have them lined out as well as you do! Lol. Wow! Amazing. Love it. Love that God is still in the miracle biz! Love that I am reading this today because I need to be reminded of all the great things he has done! A flight leaving an hour early?! I love how God orchestrated such an awesome series of events!! He made sure to show off just a little so you wouldn’t miss it! Lol God is so good! Thanks Jimi! I couldn’t agree more. I remember you sharing the news and being so completely sad. And then completely amazed when we learned of the pregnancy shortly after! Love you two! Dana… we talked about YOU today and how you and the rest of the Pier One family blessed our socks off during that time! Love you guys too! What an absolutely FABULOUS story, and so beautifully written. So happy I stumbled upon it. I’ve always believed in miracles, experienced many in my life and always feel inspired when I hear (I was gonna say “a story like this,” but I’m not sure there IS a story “like” this.) stories 🙂 Did I mention I’m so happy I stumbled upon it? What a beautiful inspiration to start a Wednesday with! Linda… I’m glad you found it too. Glad it inspired you. It was sure a game changer for us! Thanks so much for your kind words! What a beautiful story. As a two time tongue cancer survivor, I can understand the emotional roller coaster ride that you and your wife went through. One of the things I want to write about his my two different experiences and what I did to move through them to the other side. Cancer changed my life and I’m no longer a victim or survivor, just a man who is learning to see it as a blessing that I may share what I gained with others. I live as a man without a tongue and I guess I have a lot to say and share with others about it. And my journey continues! Wow…I’m speechless and wiping the tears.. renews the faith that God is in control and he guides our travels.. So grateful Melissa is healthy, yall have two wondeful boys and that you Mitch have been the strength for everyone. We never know what we will face each day but together we can overcome anything.. this its home.. God Bless You and your family!! Thank you for sharing this remarkable story! What an incredible journey and powerful reminder that God works in mysterious ways. I frequently think of the saying, “Faith makes things possible, not easy.” Sometimes it is hard to believe in a grander plan that in the heat of the moment, you cannot see. The key is remembering that God is our companion on this journey called life and that he performs miracles both big and small every day. I love that you took the time to reflect on what these experiences taught you, both in the short term and after years of reflection. Sometimes the magic happens not just in the miracle, but in the lessons learned before, during and after. Blessings to you and your wonderful family! Holy smokes! As long as I’ve known you guys, I’ve never heard or read the “entire” story. Pure inspiration. Pure. Simple. Amazing. Miracle after miracle. Inspiring! And He ain’t done yet! Hallelujah! Sumbuddy shout! I am Sherry from Veridian..I sat in the second row in all 4 of the sessions I attended. This story is amazing! Thank you for sharing. And good things come to good people. You have been an inspiration and have made an impact on my life the last couple of days. I will be writing up my notes to share with my daughters and sisters to help them along in this journey we call life. Thank you for your passion to help people reacquaint themselves with a lot of the basics and look at it in a new way and also for the new nuggets of wisdom you shared through your story telling. It was awesome having you here. I am so grateful you touched my life.